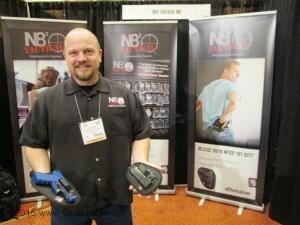 The 2015 NRA Annual Meetings & Exhibits in Nashville (open to all NRA members & family) are just around the corner and N8² Tactical (“Nate-Squared Tactical”) will be there in booth 957 to showcase their latest products, including additions to their line of comfortable single-clip IWB holsters and the all-new magazine carriers styled after the Pro model holsters. Optics blocking the controls on a firearm isn’t a new problem. Shooters who have spent time behind a scoped lever- or break-action rifle are probably familiar with hammer extensions that let them manipulate the hammer when it is blocked by the scope. As the popularity of flattop AR-platform rifles has grown over the past decade or so, allowing optics and accessories to be mounted, this problem has manifested there as well. 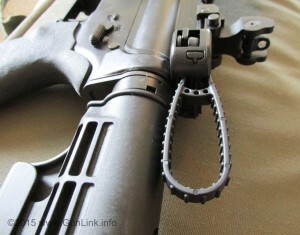 A good, by-the-book overhand grip on the charging handle can easily be impeded by rail-mounted optics. 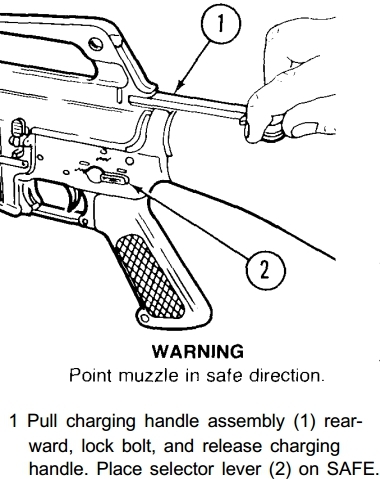 Getting an index finger on the latch and pulling from one side might work if you can get to it, but it can also apply undue lateral stress on a stock charging handle designed for the overhand grip. If you are using your scoped AR for hunting in cooler weather, wearing gloves can add additional complications into the mix. Following SHOT Show 2015, Advanced Armament Corporation’s Mike Smith recently made a post on the AAC Blog to clear up “some of the wild rumors and unfounded speculation” about the silencer company, which has been under the purview of Cerberus Capital Management’s firearm and outdoor arm, Freedom Group for the past several years. 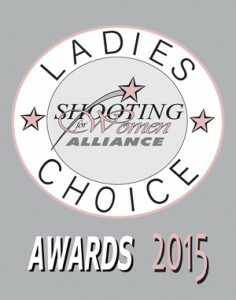 Taking a break from the noise and excitement of Range Day and the miles of aisles on the SHOT Show exhibit floor, the GunLink team had a chance to attend the presentation of the Shooting for Women Alliance’s (SWFA) 2015 Ladies Choice Awards. The well-attended event filled quickly and, while our Women’s Shooting editor got there early for a seat, I ended up in the standing-room-only portion – which worked out well for shooting photos and congratulating the award recipients as they exited. Awards were presented by SFWA founder, Susan Carrichner Rexrode – who, in in 1992, was held hostage at knife-point in her own home for 5 ½ hours and then stalked for two years. Following her ordeal, Susan became a more active participant in her self defense and began training others to help prevent something similar from happening to them – out of that was born the SFWA. In front of a standing room only crowd with a multitude of onlookers sneaking a peek through the entryway, fifteen awesome industry leaders accepted 2015 Ladies Choice Awards for Guns and Gear for the Modern Woman presented by Shooting for Women Alliance, a non-profit 501(c)3 nationally-renowned organization based in Knoxville, Tennessee. “10,000+ women weighed in with all products being used during actual personal defense related training classes, and the crème de’ la crème rose to the top,” explained Rexrode. 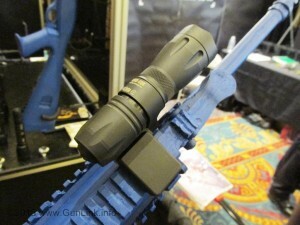 As in past years, Elzetta brought some new lighting solutions with them to SHOT Show this year. While stopped at one flashlight vendor’s booth as we roamed the halls of this year’s show, the booth staff asked me if I liked flashlights. Before I could answer, he immediately answered his own question: “of course you do, you’re a guy.” He was probably right, judging from the quantity of lights around here – tucked in drawers, stuck on metal surfaces, hanging from hooks, mounted on firearms, and in pockets or bags for EDC. Last year Elzetta introduced their 1-cell Alpha model, a prototype belt clip that would facilitate carrying their indestructible torches, as well as new heads with changeable lenses and automatic voltage sensing heads. This year they didn’t let down lighting enthusiasts. In collaboration with Impact Weapons Components, they have developed a new integrated weapon-mounted light: the Mini-CQB Modular Weaponlight. Based on an Alpha body, the new Mini-CQB weighs in under 5 ounces. Despite the 1-cell’s dimminutive size, it delivers 315 lumens in a pattern optimized for close quarter engagements. And since it is based on existing Elzetta lights, the Mini-CQB is compatible with any of six tailcaps to give it rotary, click, high/low, high/strobe, or tape switch functionality. The Mini-CQB is available with multiple ambidextrous attachment mechanisms to suit most users’ needs, including the A1 model for M-1913 Picatinny rails or the A2 model that is compatible with keymod systems as well as Magpul’s M-LOK system. Elzetta plans to begin shipping the Mini-CQB in April and is currently accepting pre-orders with prices starting at $210 for the A1 model with rotary tailcap. 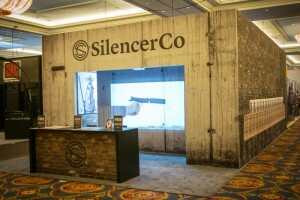 SilencerCo, the industry leader in silencers and accessories, was awarded Best Booth at SHOT Show 2015 by prominent firearms marketing agency Primer Strategy. SHOT (Shooting, Hunting, Outdoor Trade) Show is the firearms industry’s largest annual tradeshow, bringing nearly 70,000 people to Las Vegas each January. The accolade was given to recognize SilencerCo’s enclosed art gallery-style installation, which used 10 striking gallery wrapped portraits and more than 20 silenced firearms to kick off a yearlong protest theme – #FightTheNoise. The attention to detail employed the use of pasted playbills and posters affixed to an exposed brick façade – all to illustrate the gritty, street-worn feel made iconic by many of the most successful social movements of the past century.